34% of people prefer caramel on their ice cream to compliment the sweet flavor. 26% prefer hot fudge on their ice cream to offset the cool temperature. 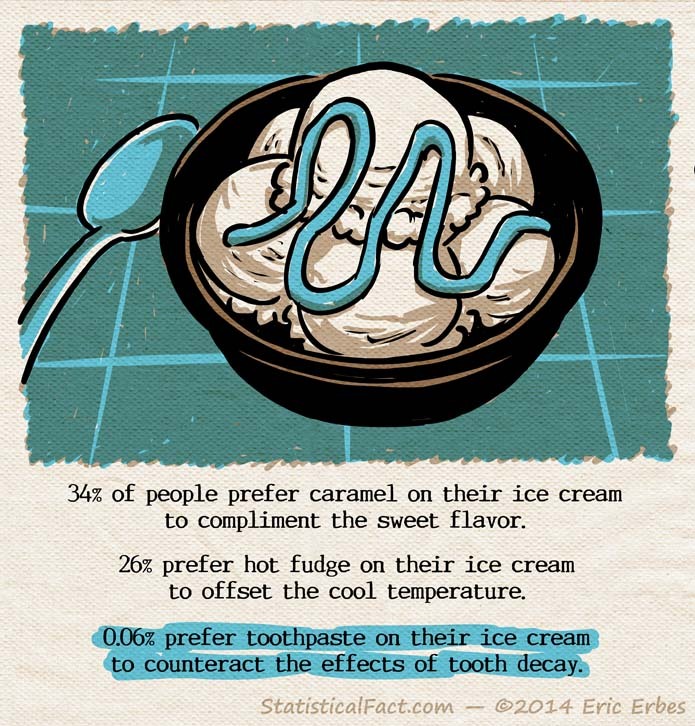 0.06% prefer toothpaste on their ice cream to counteract the effects of tooth decay.